In mid 2012 the Bright Hope Zambia Board made the decision to sell off the dairy operation at Maplehurst. 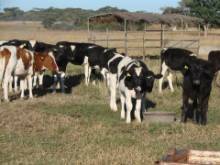 Even though the dairy farm was profitable, a substantial rise in the value of the farm and some serious risks to the business made it attactive for Bright Hope Zambia to safeguard its investment and secure future returns for our Zambian partnerships by selling the farm. We have retained ownership of The Fig Tree Cafe and a number of houses on the property as a base from where Bright Hope World will continue its ministry activities (see ZAM21a). 1. 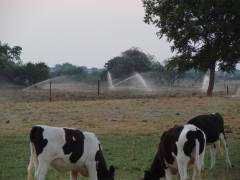 Opportunities for Westerners to go to Zambia and become involved in practical ways: Already a team has gone and installed a milking plant in the cowshed. There are also usually two Western families based there at any given time as the farm manager and base manager. 2. Opportunities for Western farmers and donors to contribute: One farming family has put the proceeds of the sale of their farm into the initial purchase of Maplehurst farm. Someone else has donated an old milking plant which has been refurbished and installed. 3. Freeing up finances for other projects: Currently Bright Hope World invests more than $US250,000 per year in Africa and we hope to eventually generate a significant percentage of the Zambian requirements within the country. 4. Providing employment for many local people: More than 20 Zambians are employed on the farm. 5. Enhancing the development of Zambian agriculture: We contribute to local Farming and Agricultural shows and events. 6. Making profit and paying tax: Tax on farming is 15% of profit. Some African countries suffer because much of the involvement from outside the country is based around the activities of aid and Non Governmental Organisations (NGOs), which don’t pay tax. This diminishes the capacity of the country to do all it needs to for its own people. 7. Creating a base for operations in Zambia and Central Africa: We regularly have groups visiting Zambia to visit our partners. 8. A place for training: We expect to train school leavers from our partnerships who cannot get into formal training. It also provides a place to train and encourage our partners and leaders. Back in 2002, Rob Purdue and Kevin Honore were travelling together in Zambia. They called into Maplehurst Farm to have a look but after talking to the owners went away with little further interest. Driving out of Maplehurst, Rob asked, "What would it take for us to do something like Maplehurst?" As they travelled around, they began to wonder if something like Maplehurst might be a possible way to create funds within the country rather than having to raise donations every year from the West to fund poverty focused partnerships. • someone with the skills to establish and develop the farm for 8-10 years was needed. Miraculously these two things happened and by June 2005 Maplehurst was taken over by Bright Hope World Zambia. The profit generated on the farm will be distributed to various partnerships in Zambia. Some of the actual partnerships are outlined here to give you an idea of the type of people who will benefit. 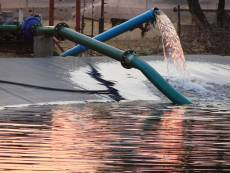 The biggest attraction is that there is the capacity to generate income within the country of Zambia. However it provides many benefits apart from the profit generated, as outlined above. 2. Training: many people in existing partnerships will benefit from the training and this will establish relationships. Leaders of other partnerships will come to the place for training and encouragement. 3. Proximity: there will inevitably be relationships with those close to Kabwe. The most obvious is with Pro Christo (ZAM13 and ZAM25,) who are building a campus on adjacent land given to them by Maplehurst Farm. 1. Aaron and Suzy Boddy and family. Aaron is the base manager and Suzy is in charge of the financial operations. 2. John and Cisca Vlaming. They arrived in Zambia at the end of December 2007 to take over the farm management. In August 2008 they returned to New Zealand but continue to oversee the running of the farm and make regular visits back there. There are about 25 Zambian employees from Ernest the farm manager, milkers, animal stockmen, drivers and guards. 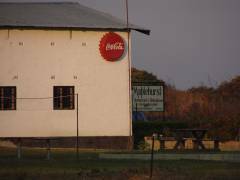 A number of Zambians and New Zealanders are involved as a Board of Directors of the Zambian company that owns the farm. 1. Financial – it has to return 10% on investment per year. 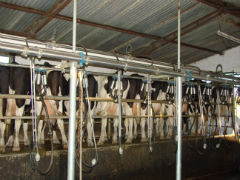 A strategic plan will be developed and implemented to increase production and increase the number of cows being milked. In 2008 a tractor was purchased and some equipment. 3. Operations base – teams regularly visit the farm before launching off to visit partners in other parts of Zambia. Other staff use the property as a base of operations in other partnerships. Ongoing maintenance and development continues on the base. There is no published budget for the farming operations. The Board of the company that operates the farm has a budget and all income and expenses are measured against that budget.